The CTA Autónoma (CTAA) said in a press release that “the Supreme Court decision on the gas rate hike, is the result of the many struggles and protests carried out by the Argentine people.” The communiqué was signed by Pablo Micheli, Secretary General CTAA, José Rigane, Deputy Secretary General CTAA and Rubén Ruiz, Secretary General of APJ GAS. “We now have a new challenge. To avoid the rate hike to be validated in a rigged hearing, with little background information and no federal sense at all,” reads the statement. “The ruling however does include two elements we must not under appreciate: the wellhead price and the reasonableness of the increases. The truth is that this ruling is an opportunity for companies to use legality in their favour, but it is also the opportunity for the people to question them and stop a rate hike which is unaffordable for a large part of society. The CTA Autónoma reaffirms its will to struggle for the rights of the more than 6 million natural gas users, so that these rights are not encroached upon by oil companies, and for the State to fulfill its monitoring role over the different job recruitment procedures and the alleged investments which only drive up transport and distribution prices of natural gas and want users to pay for this monopoly service. There are no excuses. There have not been any mistakes or communication errors. 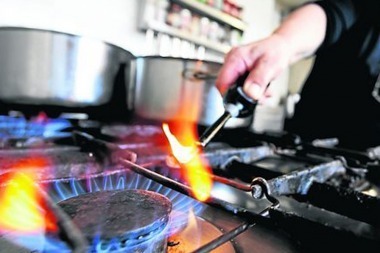 There was an attempt to validate through gas bills an unprecedented benefit for gas companies as well as some artificial costs of the service provided by concessionary companies. Argentines have stopped this only temporarily. We are now going for a rational discussion focused on public services as social goods and not as commodities.